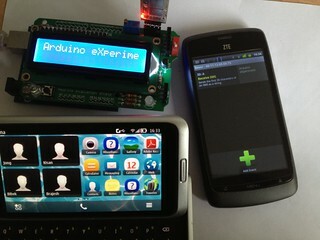 Tutorial for Amarino Beginners- Display your SMS on 16×2 LCD. 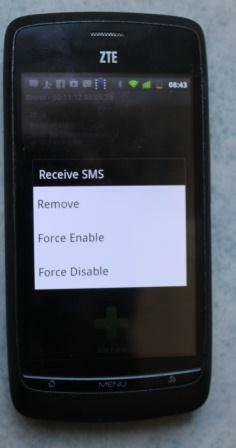 This tutorial shows you how to display SMS on 16×2 LCD. This tutorial is based on Amarino. 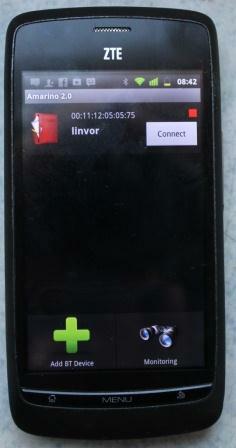 It utilizes Receive SMS plugin of Amarino. This plugin sends the first 30 characters of a received SMS to Arduino. The message is sent as a string. 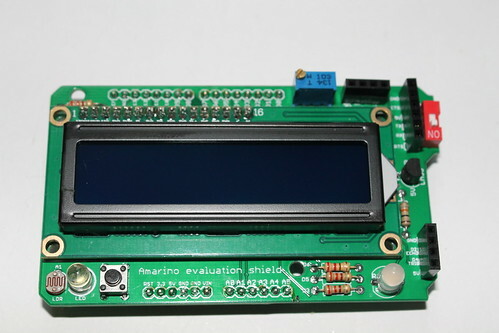 The length of the string can be between 0 and 30.
b. Amarino Evaluation Shield or 16×2 LCD and other required components (see the schematic). d. Bluetooth adapter- You can use either general Bluetooth adapter or BlueSMiRF from sparkfun. 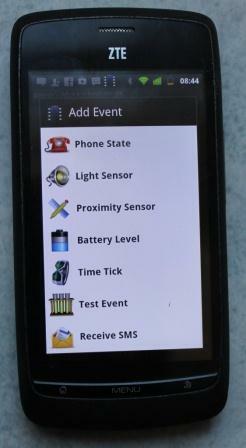 e. One cell phone (any) to send text messages. 1. Download and install Amarino toolkit. 2. Download and install Amarino Plugin Bundle. 3. Download MeetArduino library and put it into the Libraries folder of Arduino. 4. Pair up your phone with Bluetooth adapter. 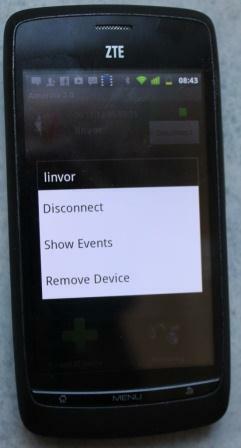 If you have never done any experiment with Android and Bluetooth, check this tutorial. 6. Click on the red icon for a while, it will prompt the following options. 7. 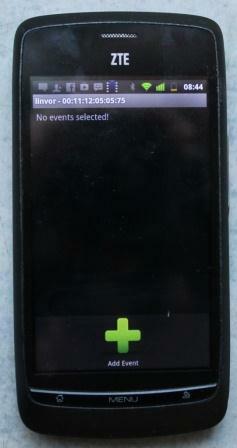 Click on Show Events. You will then get the following screen. 8. Then, click on Add Event, you will get the following screen. 9. Click on Receive SMS and save. You get this screen. 10. Presss Receive SMS for a while, you will get the following message.